My pillows are being sold at Ohh Deer up until October 29. So grab your Paypals and come shop for some botanical pillow love! The image on the pillows is originally hand-painted. I used water-colour, acrylic, and ink over old book pages to create the look. The pillows are Vegan and made with a super soft faux suede and come complete with the fibre insert. They’re completely machine washable at 30°c and hand made In UK. The cushion has a stone coloured back cover – and zip fastening. They measure 43 x 43cm a smashing size! They cost £25 each. This is my first online sale ever. I have been active in craft shows, but kept on postponing taking the online plunge. So, I’m really excited about this! The pillows are a limited edition and are being sold for a limited time: 3 weeks starting yesterday. So, don’t miss out on this special sale! I have two cushions taking part in a cool competition called Pillow Fight. The authors of this idea are none other than Ohh Deer, an absolutely inspiring & intelligent British online/offline shop that sells quirky illustrated gifts, from pillows to T-shirts, and, in between, gift cards and stationary. First, I’ll talk about my cushions, then a little bit about Ohh Deer. This cushion is called: Nature v.s. Psycho-analysis. You can click here to see the pillow and to read the brief I wrote about it. Technique-wise, this pillow “carries a photographed image of one of my hand illustrations using watercolor and acrylic,” and I forgot to mention, ink. So… a bit of recycling went into this pillow’s original illustration. This cushion, below, is called: Triumph of Nature over Psycho-analysis. You can click here to see the pillow on Ohh Deer, and to read the brief. This pillow is basically about: “Return to nature and you’ll find happiness.” Love the way the paper grain is showing around the psychoanalysis type and the watercolor/acrylic/ink illustration. Ohh Deer is about “Quirky Illustrated Gifts,” illustration and photography that can be so cute at times and outright vulgar, at others. This is basically what stuck in my head from the brief I read on their About Us page. If you visit Ohh Deer’s blog, you will find delightful surprises. My most favorite post, so far, is called “Something a Little Different.” It comes with images from a recent Ohh Deer booklet design that carries their concept, a concept of growing together and being a role model for others once we have matured ourselves. So beautiful! This is exactly how Ohh Deer runs their endeavor, it takes care of you as an artist, and you take care of them, in the spirit of love. They offer you 25% of purchases from your artwork – once you have won the competition and became part of their contributing team. But before that they do promote you on their website just by entering their competition. As for Pillow Fight, the deadline is September 25, so if you are interested, please click here to read the specifications and to enter! Good luck! I have a special thing for placemats. They can be made by hand, that’s one of their major attractions. And you can customize them to look exactly the way you want them to. You only need some basic sewing skills, some fabric colors, and a bit of imagination. I have been dreaming about making my own placemats for quite some time, really. Recently I felt I was ready to make them since my sewing skills became a tad-bit better than they used to be. I started by sewing the hems with the pompoms at one go. Then I freehanded the word “eat” on a paper with pencil, while keeping in mind I wanted it to look like the vintage American Pop font. I then traced the word on both placemats after taking measurements and centering it, also with pencil I used a basic image transfer technique using charcoal, for more ideas go here). I used the round lid of some cookie canister to trace the plate shapes. I then got me a real spoon and fork and traced around them (with pencil), that’s how I got the fltawre shapes. Once I was done with the basic outlines, I used a black fabric marker to outline them again, then I painted and sketched flowers and herbs to fill the plates. The inspiration for making this specific design came from different places, which all have one thing in common: A vintage feel. I found a few table-setting placemats that I really liked. Here are a few ideas. The one above is so lovely, it has a vintage French feel, while the one below is a bit whimsical, especially that lace was used to create the place-setting utensils and plate shapes. So, if you don’t want to invest in fabric paint, you can simply applique the shapes. Or you can use your basic embroidery skills to create this beautiful and simple placemat by Yellow Spool. And of course, you can always upcycle a jean pocket to create a one-of-a-kind placemat. You can actually use the pocket on its own, like this one below. All you need is cut the jean, then place the flatware inside for a cool table arrangement. And, finally, a cute picnic placemat with multi utinsil pockets. I have an infatuation with matchboxes, especially when they are repurposed into something else, like a little cute box for packaging my handmade earrings. I had some glitter, some paint (yes, oil-paint for furniture), acrylic paint, white glue, and a stamp. And this is what I came up with. The oil-based paint actually makes the matchboxes much more sturdier than they are. The stamped bird is made with foam. This stamped side of the matchboxes is actually painted with white acrylic, so that the ink would stick. Here are some ideas for embellishing matchboxes. Some are shabby chic, some are not… but they’re all so beautiful. Packaging small jewelry items, like earrings and pins, broaches, and a strand of pearls – and using them in craft shows, for instance. When I was a teenager (a few years ago, hehehe), I grew up with a few Laura Ashley skirts and floral accessories, and up until this day I continue to associate pretty pastel florals to this wonderful brand. Florals are now witnessing a big come back thanks to the school of ‘vintage-chic,’ which is celebrating everything beautiful my generation has seen the last drops of. We’ve been through the ‘ugly’ eighties, but we’ve captured the last offerings of the glorious 70’s, and florals seem to have managed to make their way into our lives up until the early 90’s. The above pic shows a few Laura Ashley floral fabrics. They go together so well, although the motifs are different. 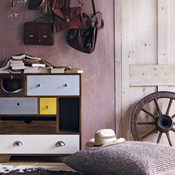 Below is a vintage-style bedroom with a country, yet contemporary, twist. The chest of drawers is from Laura Ashley as well as the vintage-style floral patterned accessories. Florals, which are a staple of the British aesthetic and the prairie trend, have also seen a come back into fashion lately. Belts and little floral details have appeared in this year’s spring/summer clothes and accessories. Another brand name that celebrates full throttle florals is Cath Kidston, whose take on florals is a bit different than the classic Laura Ashley line, but all the same I love them both (I did mention this earlier in a previous post). Here is an example of Kidston’s accessories. I also found florals from other brands, such as this mug, which ultimately reminds us of Laura Ashley’s style. Finally, this is my biggest floral crush… vintage floral cards. Yum. I love birdcages. Probably they are more popular around this time than ever, but I have loved them all my life. When we were kids we had a beautiful white-and-blue cage from Tunisia – like the one above. I learned from this cage that cages were not permanent; that’s how I fell in love with them. It was decorative. The cage. Every time we tried to convince our parrot – back then – to consider it home, it managed to use its beak to bend some of the handmade cage wires and get itself out. It was great fun seeing my parents, who were usually gloomy and very serious, run around the house while trying to catch the crazy bird. He was very colorful, and he left a good impression on me about birds in general, which I grew to love over the years. The cage, too, is a staple of my psyche. It’s amazing how we, as children, form our own imaginative world – our hidden psychological and figurative treasures – from things around us, in ways nobody else seems to notice. Although I was very little back then, when we had the Tunisian cage, I actually have a very good memory of it; how could I forget it when its image stayed with me for almost all my life? I don’t know how I can explain this, but the cage for me is actually a resemblance of freedom. As a kid, I never saw a caged parrot, I saw a bird succeeding to break free from that cage every single day we had him. This bird set an example for me. He taught me an early lesson about hope, that’s why all my life I believed with all of my heart that I could break free from any cage anyone could put me in. All my life I carried that Tunisian cage with me, with its easy to bend wire frame, and it helped me get out of the worst life scenarios you could ever imagine. Till this day, I see parrots in a different light than everybody else. I view them with great respect, because one of them was an early mentor of mine, who taught me at the age of 4 that I, too, can fly. The reason I’m remembering this is that the lady who gave the cage away as a gift to a Queen, yes, a literal Queen, broke my heart today. I had to remember the cage! It was she who gave it away, when my childhood was still clinging to its white wire skeleton and blue dotted beads. She broke my heart too many times, this woman. She, not once, saw life through my eyes or understood where I came from. But just so that you would know. I saw the cage again. Back in 2000. I saw it at the Queen’s parlor. I know this sounds unbelievable, but it did happen. I saw it and I said nothing about where it came from. “That cage used to be mine when I was little,” I could have said. But I didn’t. I was way too grateful to be in the presence of both, the cage and the Queen. People who travel through life with a knife in their hand, can never capture a child’s little shining world. They will continue to live through life abruptly, insensitively, and quite selfishly. But they can never ever stop the white wire frame of a Tunisian cage from bending open for a resilient parrot, who will always be free! Bay leaves, aka Laurel leaves, are a small evergreen plant, that has more benefits than commonly advertised. In my part of the world, we are accustomed to using laurel soups that come all the way from Aleppo. But only very recently did I learn that this beautifully scented tree can help elevate many physical & beauty-related problems. Bay leaves can be found in supermarkets. But if you plant them (or buy them already planted in small pots), you can have them in the soil in your garden – or keep them in pots in your small-space garden. 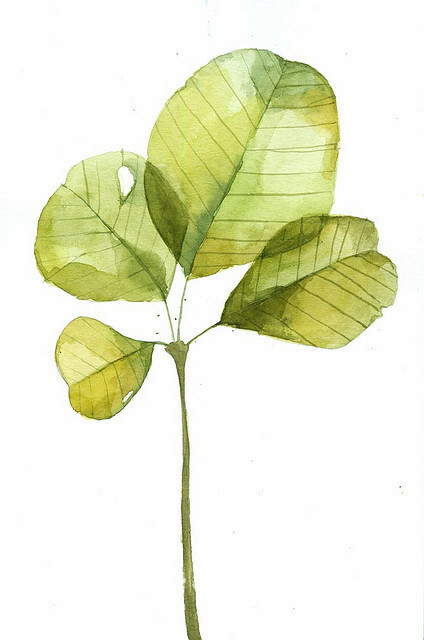 Mom tells me if you put a few bay leaves in pantry containers for sugar, rice, and flour, you are sure to stop tiny pests from growing in them. 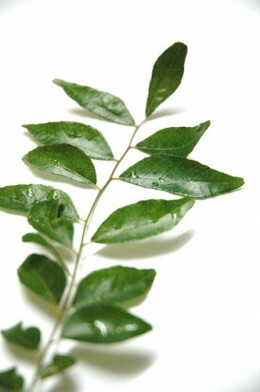 Simply add a couple of bay leaves to boiled water. Let it sit in the kettle for 10 minutes, then drink. This tea has a calming effect and it can help in digestion. Did you know that buying an infusion like the one I’m about to describe will cost you much more than making it by hand? You need a cup of olive oil in a saucepan. Add several bay leaves to the oil & simmer over very low heat for 15-20 minutes, then remove from the heat and cover (so you won’t lose the goodness via evaporation). Allow cooling. Strain and massage into sore areas. Some water plus a few crushed Bay leaves, is all you need. Boil the water, switch off the heat, then add the leaves. Cover the pot and let it steep for 30 minutes, like you would with a tea infusion. After taking your bath, wash your hair with this tea combination, and leave it on for an hour, then wash if off again. I love online e-mags. They provide lots of inspiration that you can’t find easily on the net. 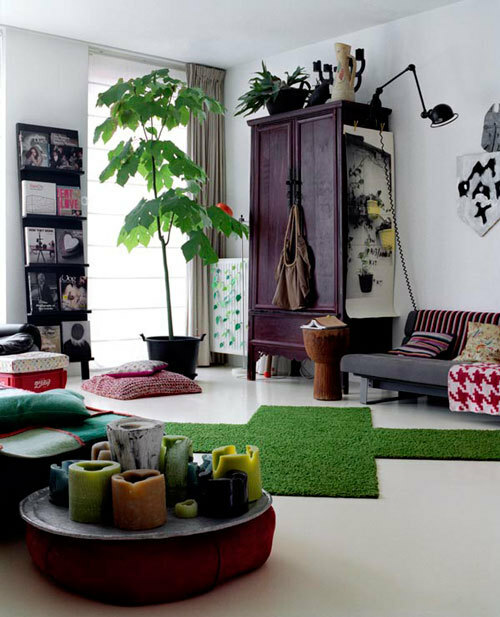 Sweet Living Magazine happens to be a very inspiring virtual publication that promises to give you lots of cool ideas. It’s new & it’s free! Issue 3 of Sweet Living is out. And it’s full of inspiration & ideas. Click here to read the issuu version. I particularly loved the homemade ice-cream recipes provided by the readers at the beginning of the mag. And I love the heart sachet (In the pic above – L). 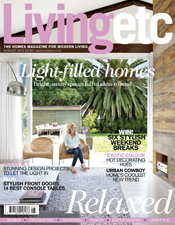 And to view issue 2 of Sweet Living, click here. 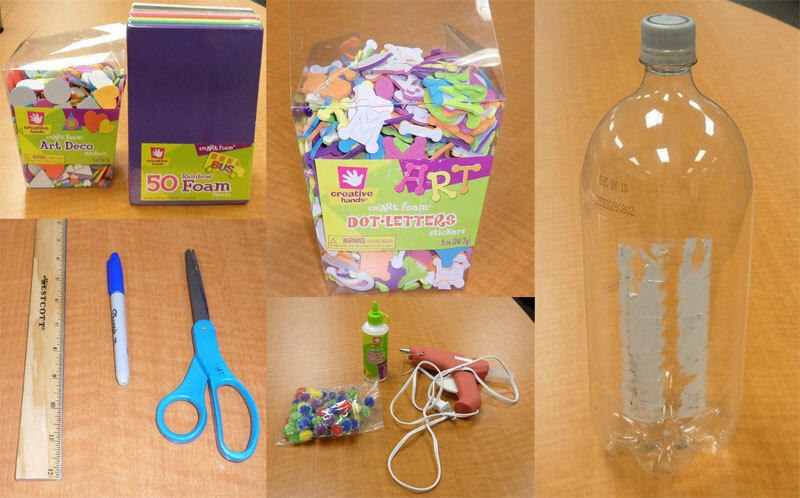 On their blog, SL offer nice crafty ideas. Here’s one I really loved: A doll garland. Sweet, right? I just can’t get over this Little chick tutorial! For full tutorial, go to Petite Purls. SO CUTE! I leave you with these lovely color palettes & inspirations, wishing you all a very lovely Friday.